You are here: Home » Allowing retakes: how well is your parachute packed? In my education program, my professor would tell us a great analogy about grades and retakes. She said that as teachers we should allow students to retake assessments, so they can continue to practice and improve with the language. 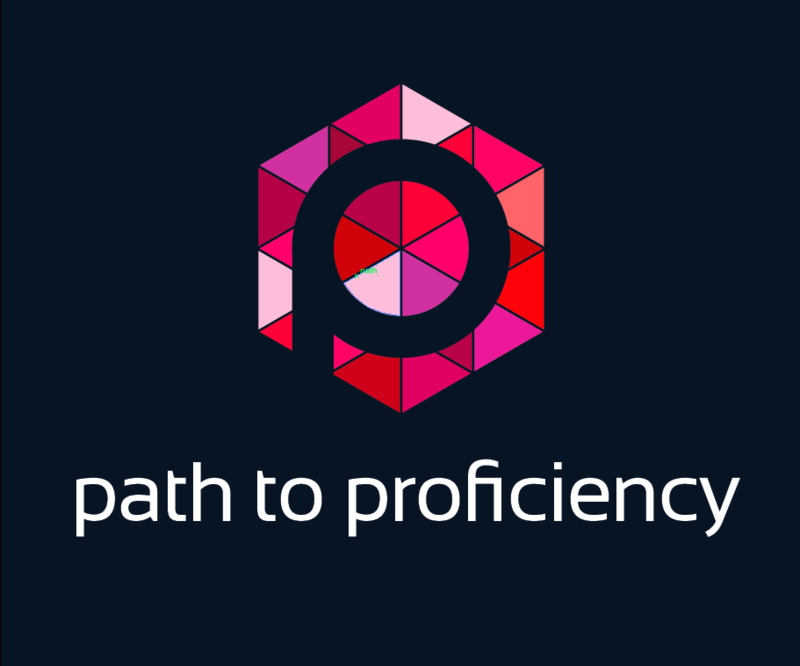 We want students to practice so well that they can attain a proficiency with the language. Then, she made this analogy: if we were going to jump out of a plane, we would want to have the person who got an A in parachute packing, packing our parachutes instead of someone who earned a C. Even if the person had to keep practicing until they earned an A, we would rather have the person who kept practicing until they earned an A instead of the person who got a C and then went to work. Therefore, we want to let our students practice as much as we can to make them as proficient as we can. We frequently discussed “how well is your parachute packed?” It made sense for me; however, it was difficult to implement. As my assessments after college mainly relied upon discrete grammar and vocabulary, it didn’t make sense to retake assessments. I wasn’t sure how to recycle the material well enough for a retake. This year, I shifted my grading to focus more on each mode (presentational, interpersonal and interpretive) and less on completion work like classwork or homework. I wanted to help my students to not feel like everything was riding on one assessment or two and I was a bit nervous to make this transition. Wendy Farabaugh mentioned on Twitter that she gives assessments back and asks students if they are satisfied with their grade. If not, they can do it again. A light bulb went off, and I decided that I would try retakes this year. As my assessments shifted to being more performance based and less discrete points, I was happy to let students retake it, and I have seen great results for a variety of reasons. When we assess, our assessment timelines are built based on the school timeline and reporting guidelines. We assess when we feel like we have covered material sufficiently and the majority of students are prepared, but some students may need more time or practice to truly attain what they need to be successful. While I still have to give assessments based on a certain timeline, allowing retakes gave my students the freedom to improve and progress at their own pace. I also became less concerned with my timeline of assessments and more concerned about my student’s improvement. Would everyone just want to retake assessments to get one or two more points? This really didn’t happen. Over the course of the trimester, I had about six students retake assessments. Plus, if students really wanted to improve their grade, they had to change their performance based on the rubric. They had to improve their writing by including more details or utilize more vocabulary in their speaking responses. Those significant improvements in their proficiency are worth the retake to me. Would I take the first or second grade? I would take whatever grade was the highest. Ideally, they would improve. In most cases, they did; I only had one student who did not improve. However, I saw some improvement on his later interpretive work. I do not believe that retaking a test should be considered a penalty. These students want to improve, so I should do everything to encourage that. This ended up being a reoccurring trend where I saw later improvement on the same type of assessment. One student wanted to retake her interpersonal assessment. She improved significantly on the original assessment, and she also did well on the next interpersonal assessment. Couldn’t students just not prepare for the first assessment then take a later one? Does anyone really want to fail- even the first time? They are not blowing off my assessments to get an easier one later. Overall, I did not see a drop in first assessment scores when I gave the option of retakes. In addition, performance assessments are hard to blow off. They are a reflection of the students’ performance on a given topic based on their acquisition from class. While I like students to look over their notes, I don’t expect students to really cram before an assessment. Normally if a student struggles is can be because he or she needs more input or practice with a topic. As we continue to build on each unit, students’ development and acquisition occur at different rates, so if they have accomplished my goals for the last unit a week into the new unit, I am happy to let them show off what they have learned. Did I require students to submit something to retake an assessment? For me, this was an extra step that I didn’t need. A pure desire to improve was really all it took for them to “earn” a retake. And in theory, being in Spanish class each day was probably enough to really help them improve in each domain. If I really wanted to add an extra step, I could have students reflect on how they can improve for the next assessment. But if I want reflection, I would rather the whole class reflect instead of just a student who didn’t do as well. Did it take a lot of time on my behalf? Well… this was the one result that I haven’t resolved. I did have to find another article on Frida Kahlo for one of my interpretive assessments. But I did feel that the desire to have my students improve is sometimes worth a little sweat on my behalf as well. If my two goals (grading for proficiency and striving to have students constantly improve) were something that I really wanted to achieve, I was willing to dedicate a little extra time to find a new article or video. However, if students wanted to redo an interpersonal or presentational assessment, I slightly change the questions or the prompt. These two tasks do not require a lot of time and effort on my part. Out of all of my doubts, I saw large gains on behalf of my students. And I believe that I am continuing to send an important message to my students- that I believe that they ALL can improve and learn Spanish and that I acknowledge that it is not a linear process. I believe that I am preparing them to really pack those parachutes well! And thank you Dr. Ruth Ferree for sharing this idea with me that I can finally implement after 10 years- and for packing my parachute, so I was ready to jump out of a plane into the world of teaching! Hello! I am glad that this has helped you! I could share an interpretive reading assessment, but the one I mentioned was level 5. Would you prefer a lower level? I haven’t thought much about retakes since transitioning to assessments by mode, and I really appreciated the opportunity to reflect more on them as I read this post, Maris. Thank you! The time demand is definitely what stands in my way when considering retakes on interpretive assessments, not to mention the difficulty of finding a similar #authres which would provide the same level of challenge for the student. More food for thought, though. I agree that I haven’t come up with a good solution, but in the end, I only had to redo one assessment. Overall, I wouldn’t let that discourage you. I would give it a go and see if it becomes too much. Thanks for writing this. This kind of thinking is part of the reform movement in education that we so badly need! I am so glad that you appreciated it! Thank you, Maris! I have to give credit to my professor, John Sanderson, who shared the parachute analogy with me. I appreciate that it stuck with you and, even more, that you have found practical ways to make it work. Gracias! Thanks so much for reading it! I owe so much of my teaching now to you and the UVa Curry School! Thank you and bravo! I have been out of the classroom for 10 years and wasn’t assessing by mode then, but believe in retakes for all of the reasons you’ve stated. I will look forward to continued conversation on this topic. Yes- I have to admit that it took me awhile to get here, but it has been successful at least for the first trimester! I have had students do worse the second time (I still don’t get that!!) and I use the higher grade of the two in my gradebook; I have let some who always struggle retake until they achieve proficiency – even up to four times! Sometimes I change the assessment for the retake but more often than not, I let them retake the same quiz and they study from their corrected quiz. I don’t let them retake tests, however. Not only do we want our students NOT to fail, but we want them to feel that if they continue working at it, they will improve. The parachute analogy works well as does the old saying: Practice makes perfect! I use sports or music analogies all the time: you don’t play varsity sports without hours of practice and you don’t play in a concert without hours of rehearsals. I am glad that you allow students to keep working on it. I have found that most students don’t retake it once they see that their overall grade hasn’t changed much. Do you have an online grade book? I wonder if that helps students who only want to slightly improve their grade. I agree with the premise of retakes, and in fact, I offer retakes to my students. It is especially appropriate for language learners because of the way language skill builds upon itself. Most teachers who don’t offer retakes do it for logistical reasons. However, my experience and decisions are different from yours. Yes, students are definitely blowing off the assessment because they have the safety net of a retake. Yes, it took a lot of time to create retakes, and in my experience, about 1/3 of my students retake each assessment. Which I then have to grade. So to ensure that it’s worth all that effort that I put forth, I require that students show an effort to improve their skills (usually with homework corrections), and I always record the second score. I do not restrict who takes it by grade. If a B+ student wants to be an A student, more power to him/her!!! But it is an act of love for my students on my part because of the time investment! Hi Andrea, Thanks so much for how it has worked for you! I agree that if it becomes TOO much of a hassle, having students make some corrections may be a big help. All of our “make-up” tests are made up during a study hall. Maybe that is why I didn’t have as many? I would rethink some of my policies if I had a large uptick in retakes, and I was seeing a large drop on the first assessment.